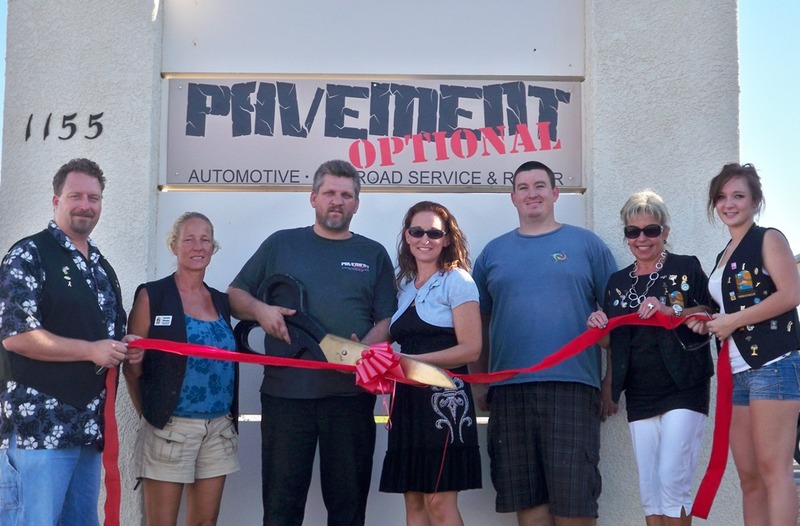 Pavement Optional celebrates a first year anniversary with the Lake Havasu Area Chamber of Commerce, located at 1155 Aviation Drive #D. Pavement Optional specializes in full automotive service as well as off-road vehicle service. They service all makes and models including but not limited to; 4x4, Sand Car, Boat, Hotrod, Racecar, ATV, UTV, and dirt bikes. On hand for the ribbon cutting are; Sergi Heideman, Jen Whetten, David Lee, Jennifer Lee, Ken Weaver, Kathy Baumer and Taylor Whetten. For more information contact Pavement Optional at 854-DIRT, (3478).